There's nothing better than earning some cash while playing games, is there? MPL(Mobile Premier League) is an Android app where you can win cash by participating in contests and playing various addictive games. Not too long ago I reviewed Kapow which was similar to MPL. But, since Kapow stopped hosting tournaments, I’ve been looking for similar apps and found MPL a few days ago. 1. Download the MPL app from here. 2. Open the app, enter your number and Submit. As you can see in the screenshot below you'll get 20 tokens(tokens are used to join contests) for logging in. 3. An OTP will be sent to the number. Enter the OTP to log in and claim your login bonus of 20 Tokens. You can also earn another 45 Tokens by completing your profile(like uploading your profile photo, adding your name, birth date, gender, etc.). To earn with MPL you need to join contests. Contests are live for a specific period of time. You can join the contest until it’s over or all the spots are filled. To join contests you need to pay some fee in the form of Tokens. The higher the entry fee the more the prize pot ad the more the prize pot the more you can win. Contest entry fee can go up to 100 Tokens. The contest with the lowest entry fee is 5 Tokens. But the maximum amount you can win in this contest is also very low: Rs. 3. Like I said, the lower the entry fee the lower the prize pot and prize distribution. You can choose from 8 different games to join a contest and play. The games on MPL are basically rip-offs of the most popular games like Fruit Ninja, Temple Run, Brick Breaker, Bubble shooter, etc. So you can be sure that it's quite fun to play games on MPL while earning some Paytm cash. After you have joined a contest for a game, you can start playing. Before every new game, you play there will be a tutorial, so even if you haven't played the original games you'll understand how the game works. The best thing is, you can play as many times as you want until the contest is live. And only your high score will be used to determine your rank. Every Sunday they host a mega contest where the prize pool is 1 lakh or more. In these contests, you can win up to Rs. 5000. You can also play fantasy cricket on MPL. Tap the SuperTeam tab. You'll be taken to the fantasy cricket page. Here you can pick your team of 11 players and join a contest. MPL will walk you through the process. There is one free contest for every match. You can join more leagues. The entry fee is paid in Tokens. You can win up to 120 Tokens with MPL's Daily Spin. Every day you will get one spin. You can also earn tokens by entering MPL token codes that are published on the social media pages of MPL. But you'll have to be quick as these codes can only be redeemed by a limited number of users. 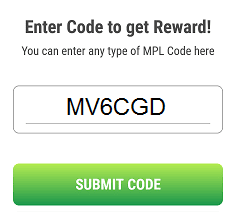 These mpl codes are valid for a certain period of time. So copy and use them as soon as you find one. Earlier MPL used to give Rs. 9 for every user that signed up and entered your referral code(NDUKTC7E). But now you can only earn Tokens. For every friend that enters your referral code, you both get 20 Tokens. You will also get 2 Tokens every time a new friend clicks on your referral link. New Offer: You can earn up to Rs. 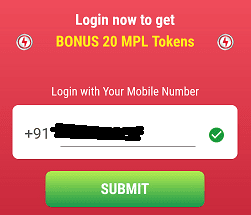 2000 + 50 Tokens(per friend) by referring your friends to MPL. You can also download the MPL Pro app from their website. On MPL pro you can play tournaments that require cash to join. You can either deposit cash or use your winnings. You can also play fantasy cricket. The entry fee to join the tournaments varies. Again the entry fee is to be paid in cash, not Tokens. Your first withdrawal can be as low as Rs.1. And as you withdraw more your minimum withdrawal limit will increase. After 5 withdrawals, you will be able to withdraw a minimum of Rs.50. 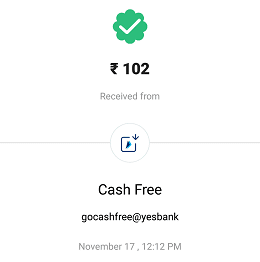 You can withdraw your winnings to your paytm account connected to the number you used to log in, UPI and bank account. 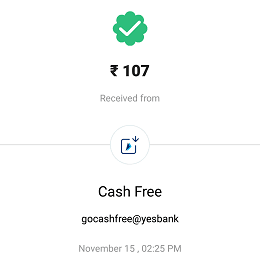 It may take up to 2 days for the funds to be credited to your Paytm wallet and 7 days for UPI and Bank Account. Although my winnings were transferred almost instantly to my UPI. Note: Now you need to verify your identity using PAN/Adhaar card before you can redeem your winnings. Once you've submitted the details for KYC your ID will be verified within 48 hours and you'll be able to withdraw. In case there is an error, withdrawn cash will be refunded within 7 working days. 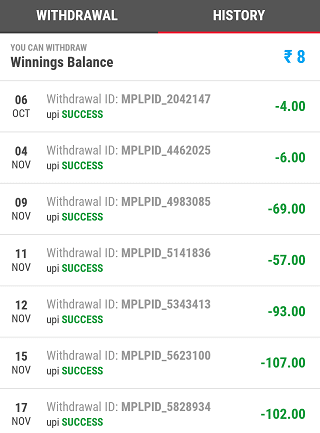 MPL is a great app for anybody to play and earn some money. You won’t get rich nor will you be making 1000s a day. You can only earn Rs. 10-50 or more depending on the contests you join and your gaming skills. But still, no matter how little you earn, it’s still for playing games which everybody does for free just to kill time. MPL is paying you for playing games. Don’t forget to open the app daily to get daily tokens. I’m not much of a gamer myself, but whenever I’m bored I play one of the games on MPL. Runout and Fruit Chop are my favorite.